Minneapolis Therapist: Bruce Fischer - Therapist 55408. Send A Message To Dr. Fischer. Session Fees: Please call Dr. Fischer to discuss the details of fees and insurance reimbursement. You insurance may cover some of the cost of your counseling. Bruce Fischer holds a Master's degree in Speech - Communications and a Ph.D. in Family Social Science. He is a Licensed Psychologist, a Licensed Marriage and Family Therapist and consultant and has been in private practice for 39 years. Presently he is a Senior Core Faculty member in the Psychology Program at Capella University. Previously he was the Chair of the Addiction Psychology Program, and prior to that he was the co-founder and Associate Dean, Director of Training and the Director of Continuing Education of the School of Psychology at Capella University. . He is also the Executive Director of the think2perform Research Institute a non-profit organization that does supports research in the area or Industrial and organizational psychology. In 2016 he was awarded the President's Award of Excellence, Capella's highest faculty award for teaching and contributions to the university. Before joining Capella he served for 17 years in a variety of academic and administrative roles at the University of Minnesota. He was the Program Director for Continuing Education for Alcohol and Drug Abuse Professionals at the University of Minnesota. For nine years prior to that he was on the faculty of the Alcohol and Drug Counselor Training Program in the School of Public Health at the University of Minnesota. He has also served as a training consultant and clinical supervisor at the Program in Human Sexuality at the University of Minnesota Medical School. Bruce is listed in Who's Who of the Midwest and Who's Who of Emerging Leaders in America. He has been a nationally recognized trainer and consultant for 36 years in the areas of chemical dependency and family dysfunction and their impacts upon the individual and family. During his career he has provided over 500 training workshops for lay people and professionals. He has served as a training consultant for numerous Fortune 500 corporations, as well as non-profits and smaller businesses. Bruce has also authored a number of articles in the areas of shame, substance & sexual addictions, family therapy, suicidal behavior, music & healing, and teaching psychology. 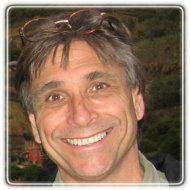 Given his diverse background in clinical work, as an educator, and as a business developer Dr. Fischer brings a wealth of practical information, compassion, wisdom and attunement to the clinical setting.